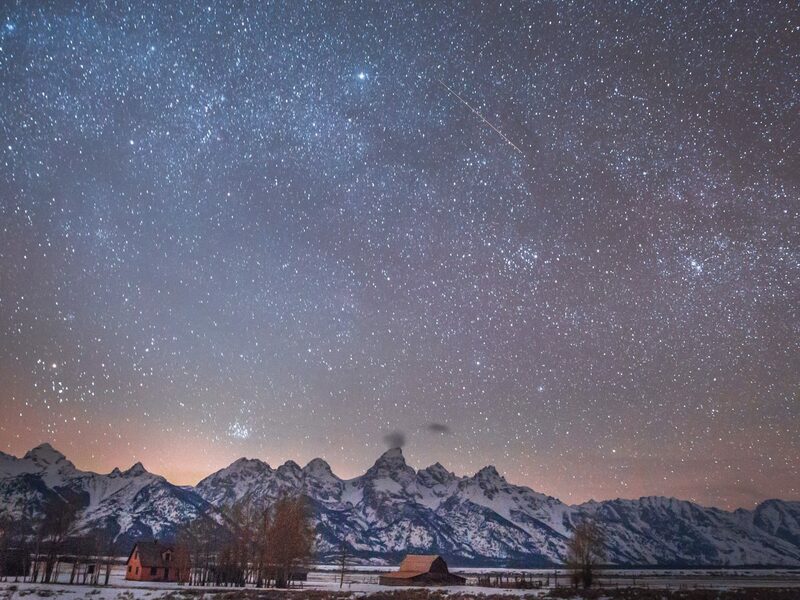 Listen up, Americans: Let's take a second to appreciate all the astounding landscapes Mother Nature has gifted us. 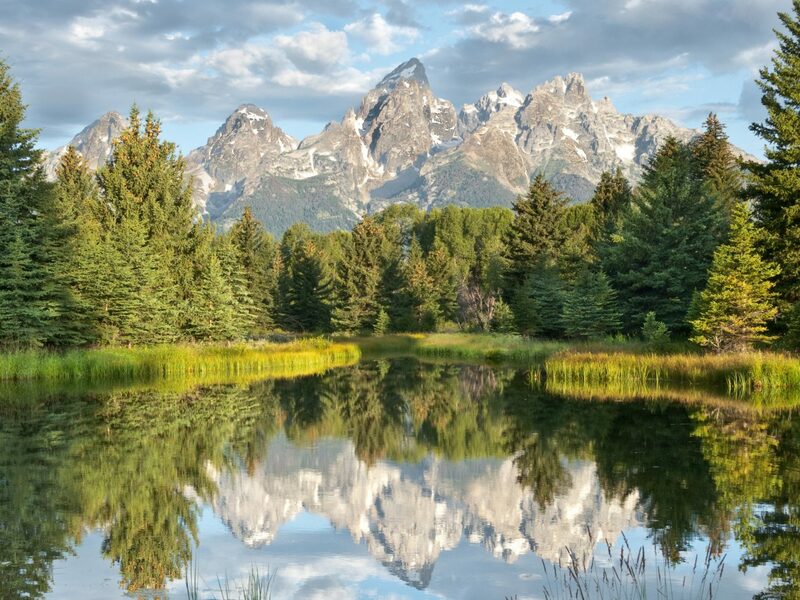 From Alaska and Arizona to Maine and New York, here are 20 of the most jaw-dropping places in the USA. 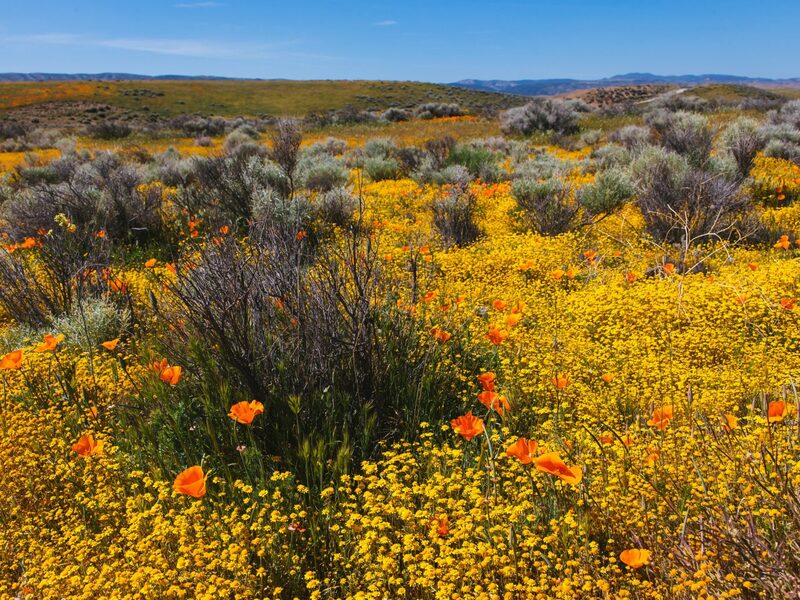 Antelope’s title as Arizona’s most photographed site is a testament to its otherworldly beauty. 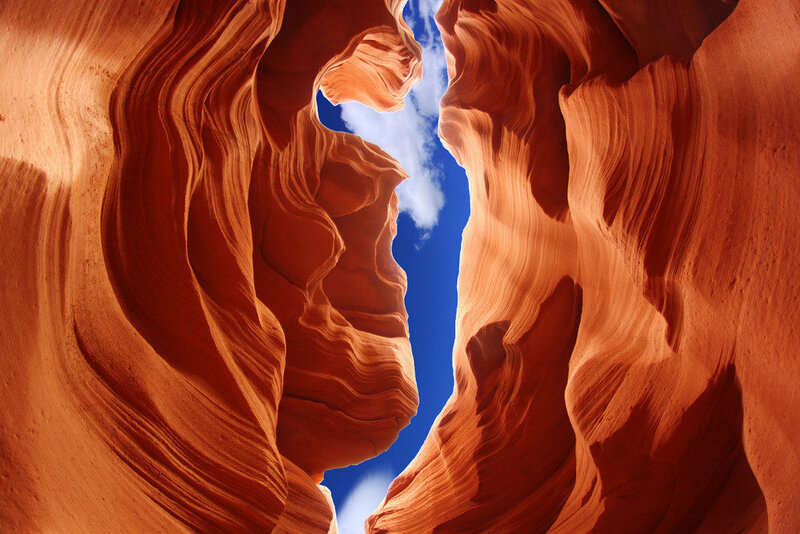 Go during the day when light streams through the surreal sandstone, illuminating the wavy rock’s vibrant red, pink, and orange colors. 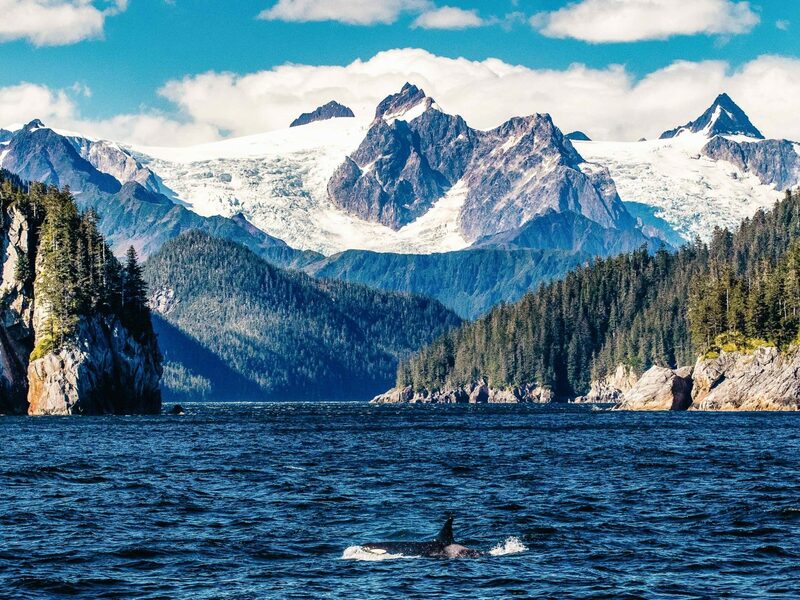 Forty glaciers from the Harding Icefield dominate this national park on Kenai Peninsula’s southeastern coast. 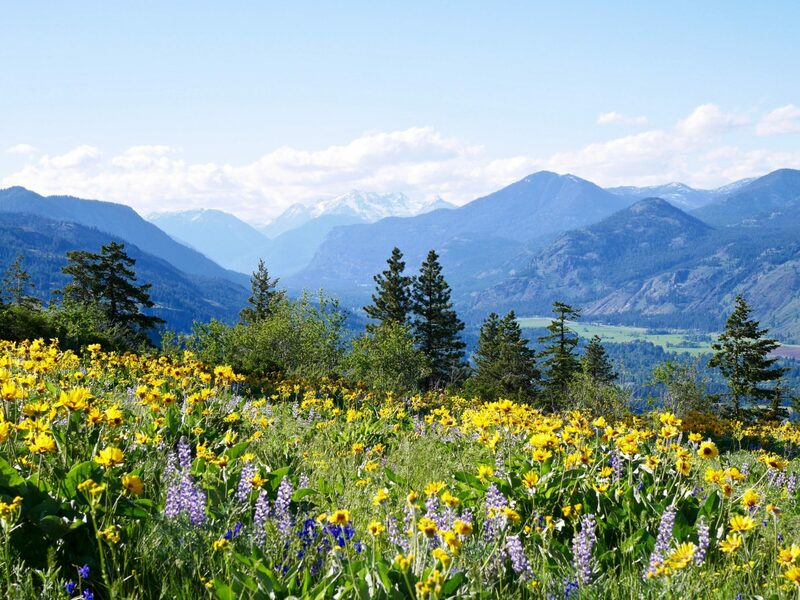 Once you’re done ogling at the goliath glaciers, peel your eyes for wildlife sightings. 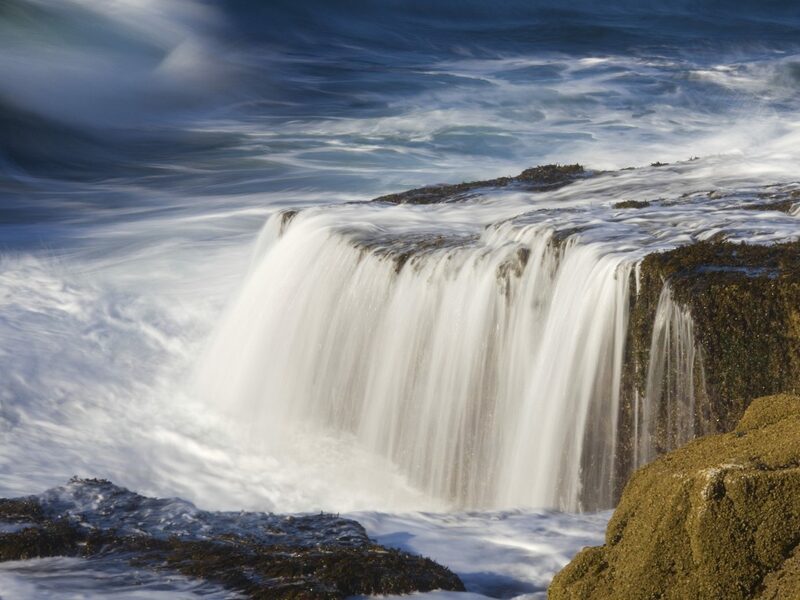 Humpback whales, bald eagles, peregrine falcons, and sea lions are commonly spotted. 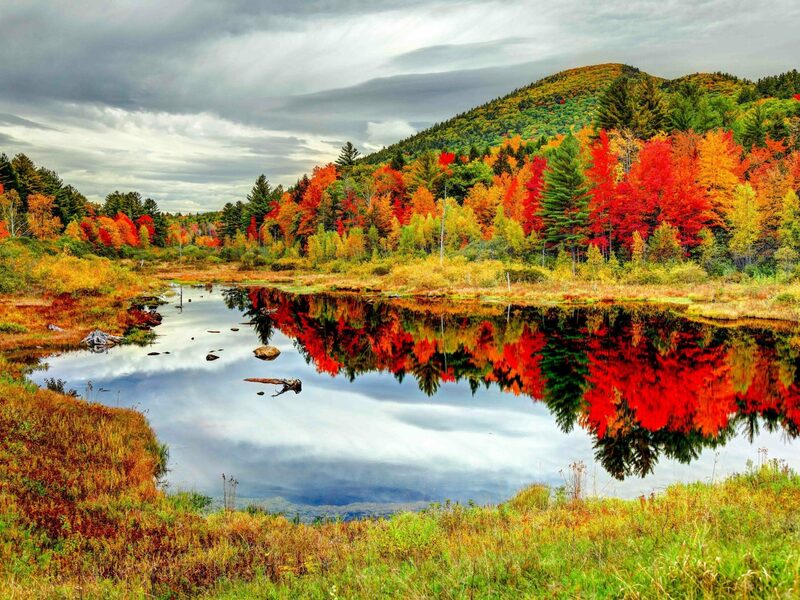 The Granite State’s White Mountains are THE place to be come leaf-peeping season. 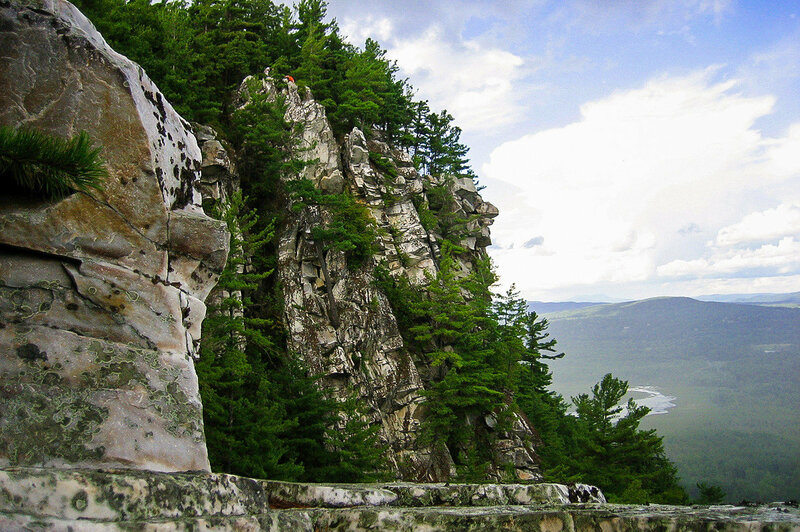 Follow the 34.5-mile stretch that is the Kancamagus Highway (or “Kanc,” as locals call it) from Lincoln to Conway and you’ll find it devoid of restaurants, hotels, gas stations, and stores of any kind—unrivaled White Mountain views are the only thing to focus on. 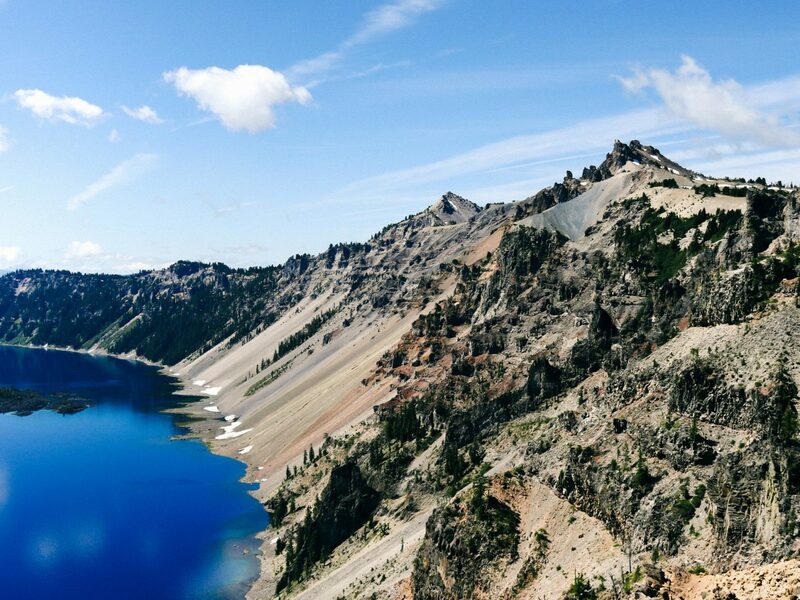 Every year, visitors from all around the world converge on the rim of Crater Lake to stare down upon its pristine surface. 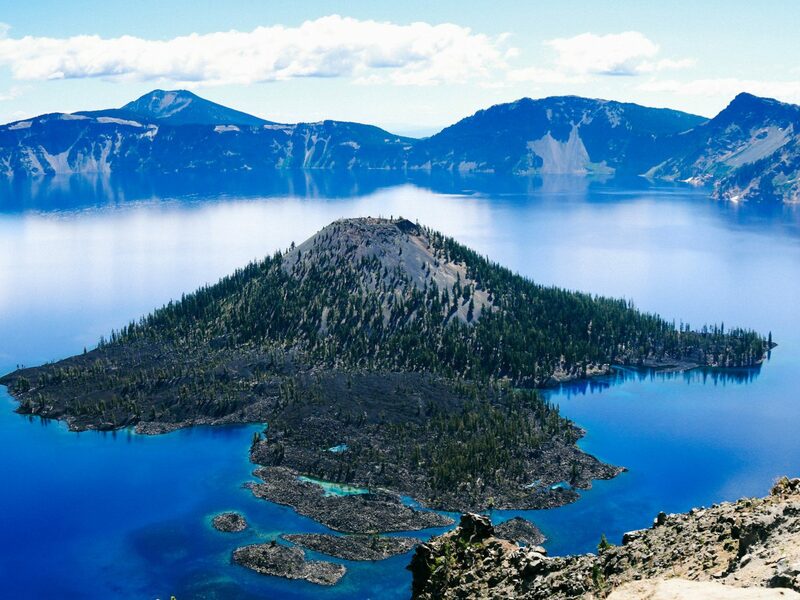 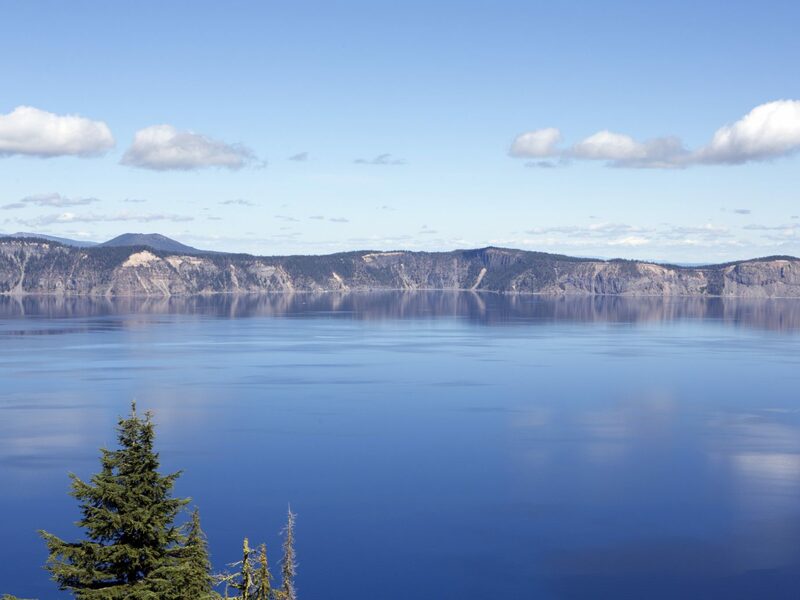 The famously clear and crisp caldera—the deepest in the States—was born of a volcanic eruption 6,000-8,000 years ago, and is fed today by snow and rain. 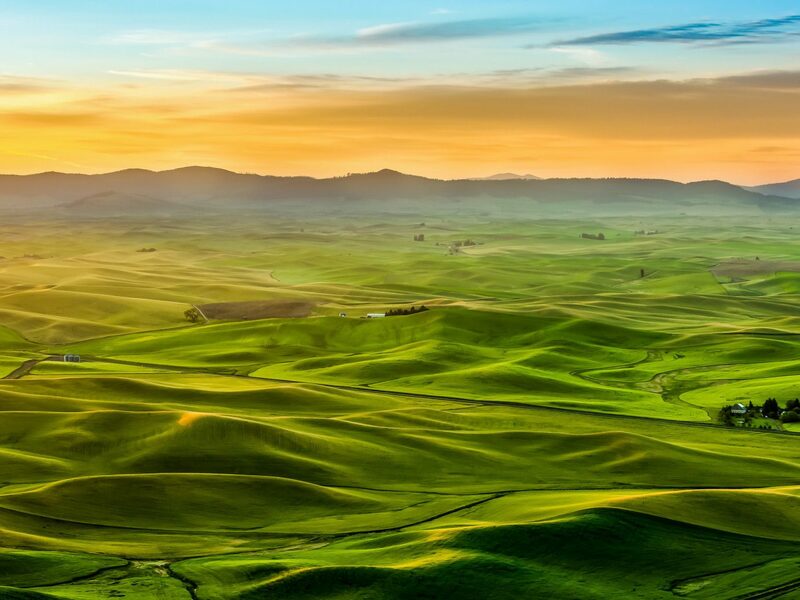 The Palouse’s most recognizable feature is its loess hills—whimsical rolling knolls formed by wind-blown sediment. 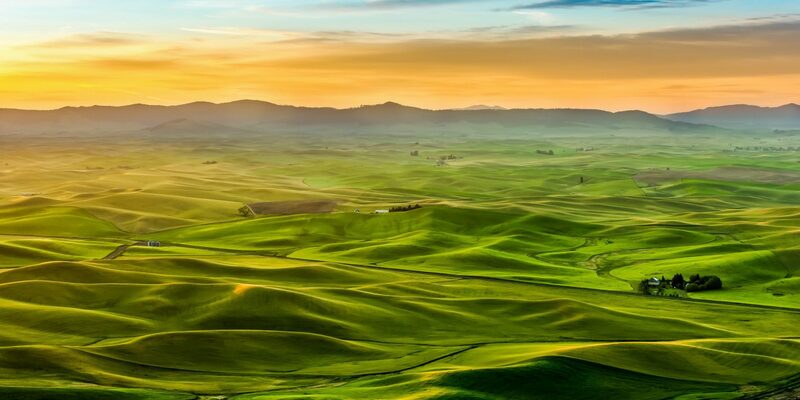 Considered one of the Seven Wonders of Washington State, the pastoral prairie region turns a lush green every spring as wheat and barley crops begin to grow. 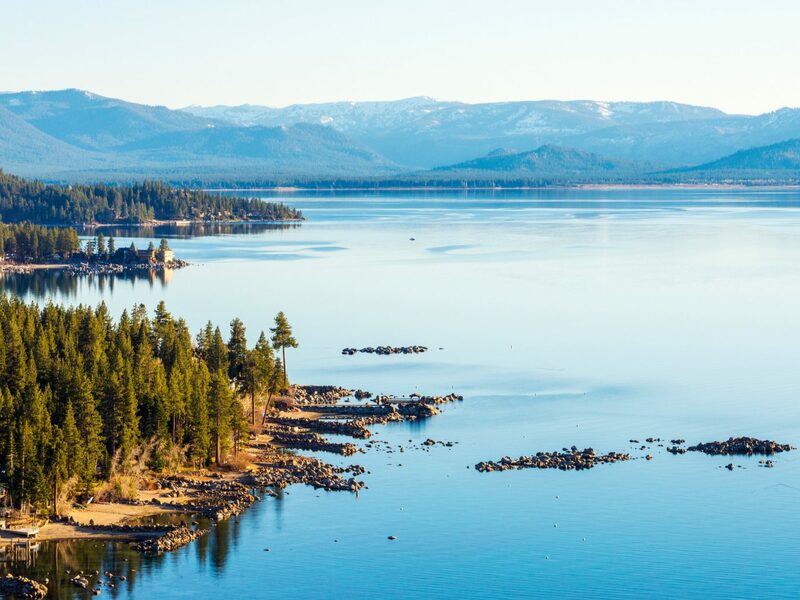 Old Faithful may be Yellowstone National Park’s most iconic attraction, but Grand Prismatic Spring—the third largest spring in the world—garners sizable crowds of its own. 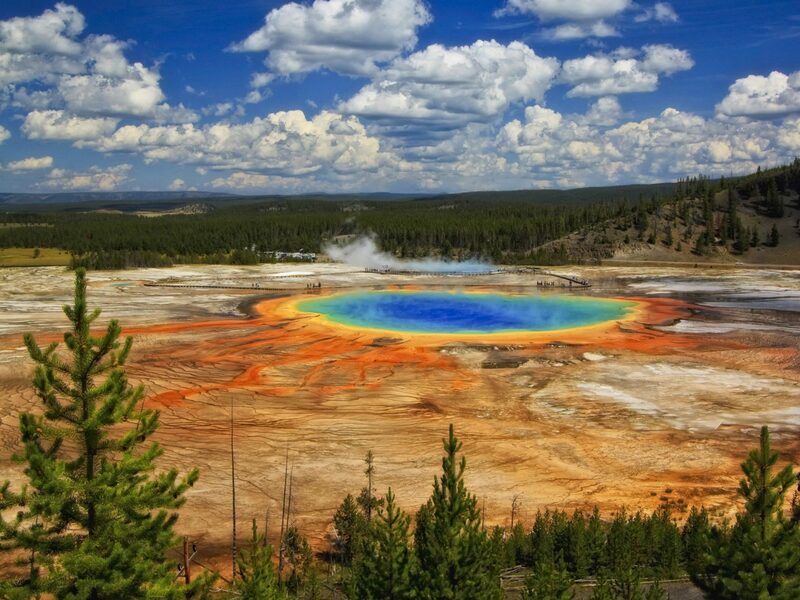 How do you explain the thermal pools’ vibrant bands of blue, yellow, and orange? 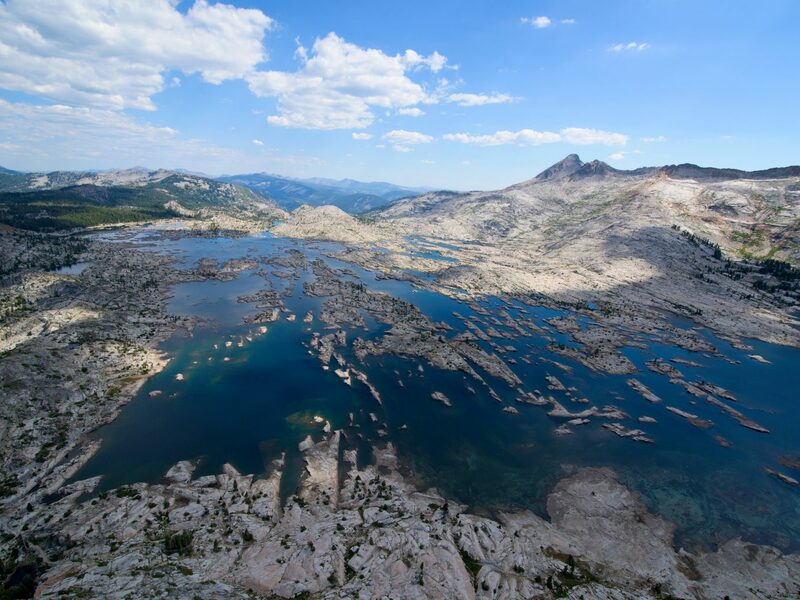 The variation in hue is due to heat-loving bacterial microbes that live on the cooler outskirts of the spring. 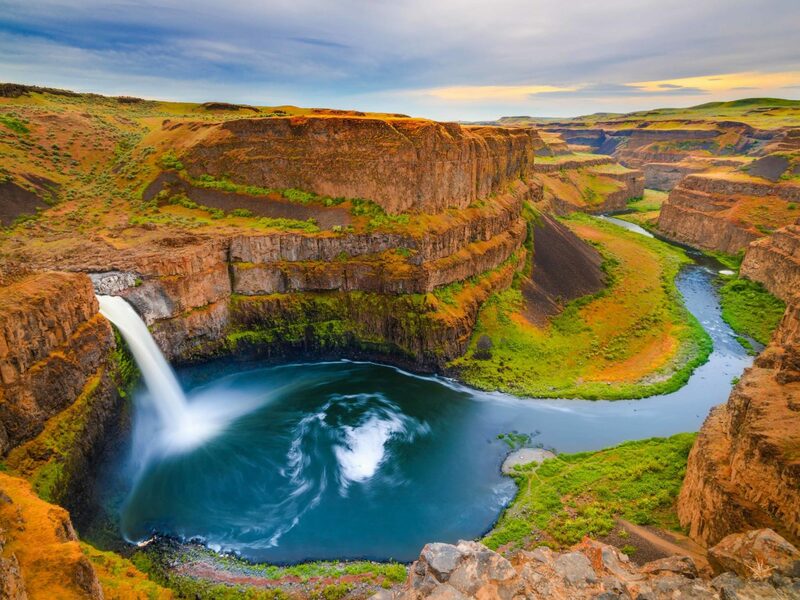 Just a half-hour drive east of Portland, Oregon’s Columbia River Gorge is positively overflowing with waterfalls (there are more than 50). 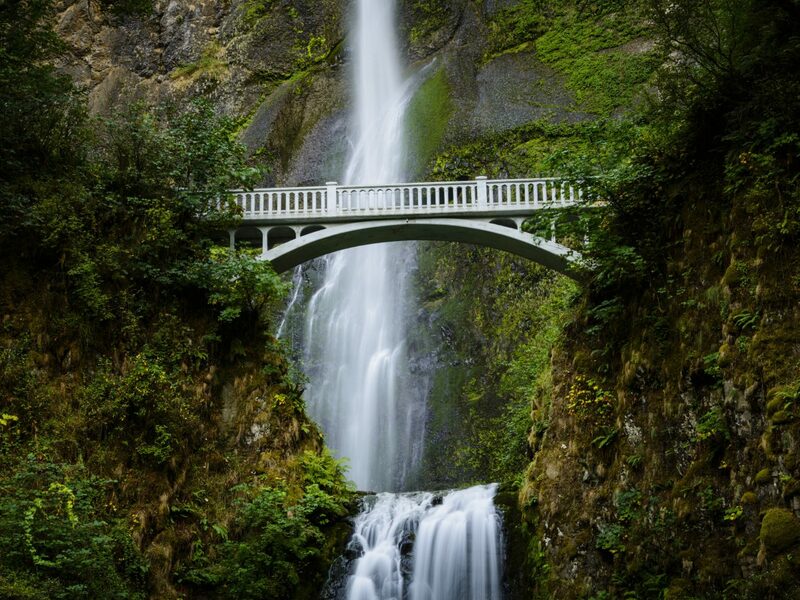 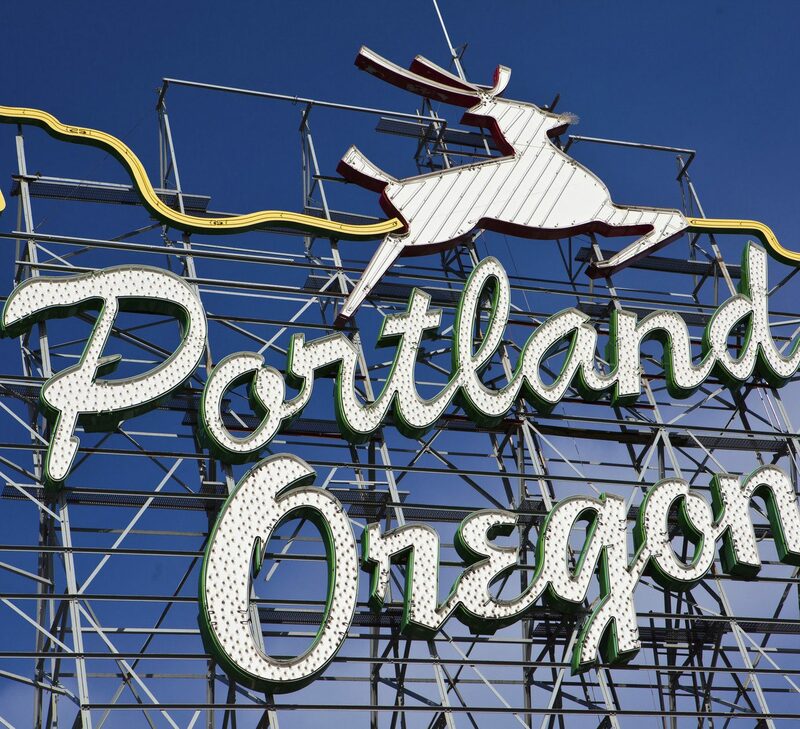 Of all the cascades, the—arguably—most impressive is two-tiered Multnomah with its 611-foot fall and charming bridge that connects two easy hiking trails. 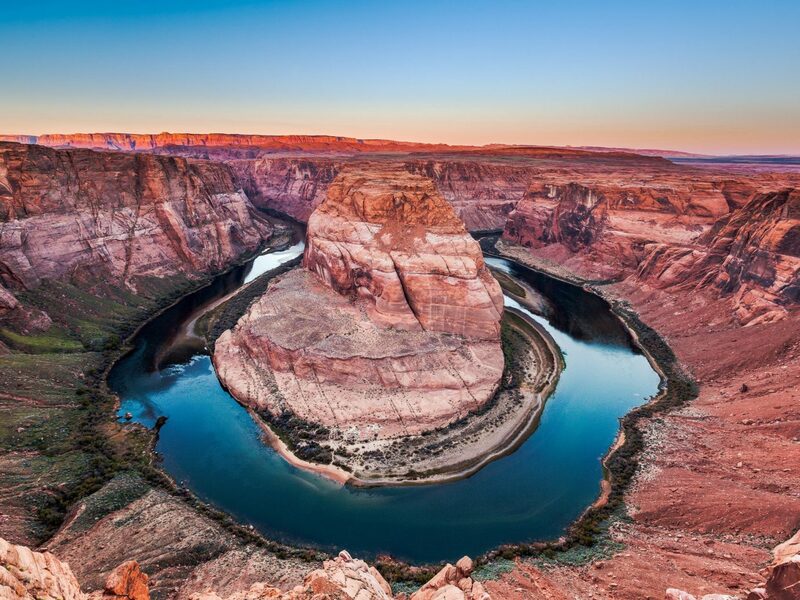 Arizona is full of dreamy viewpoints, but we can hardly peel our eyes from Horseshoe Bend. 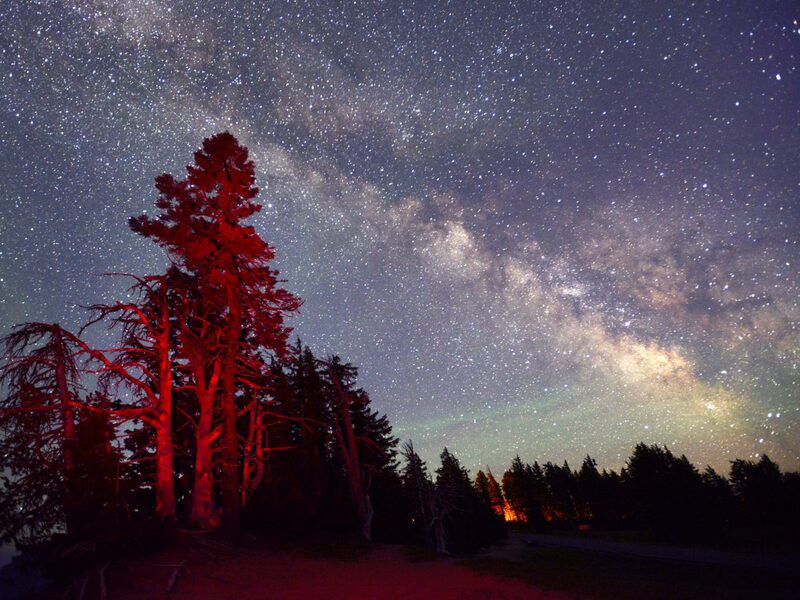 One of the American Southwest’s most scenic sites—just north of the Grand Canyon—the spot is named for the path the Colorado River snakes through the landscape’s 200-million-year-old Navajo sandstone cliffs. 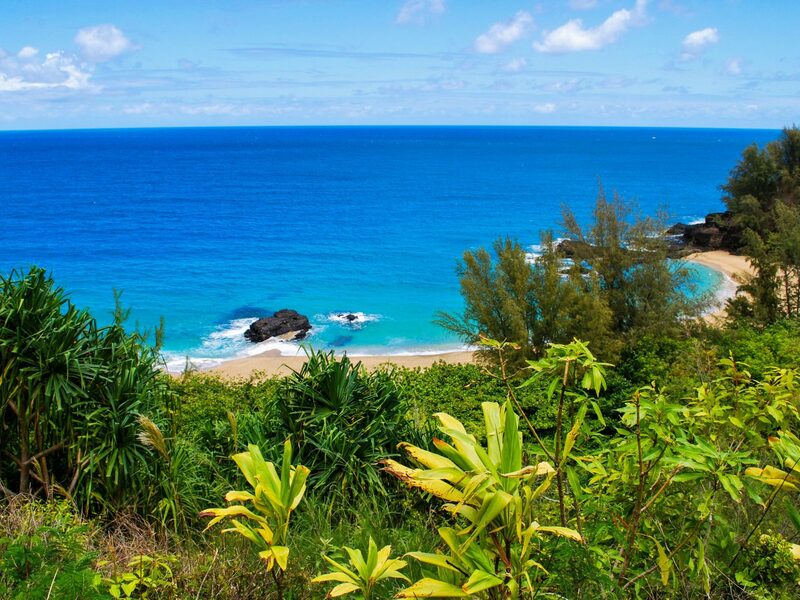 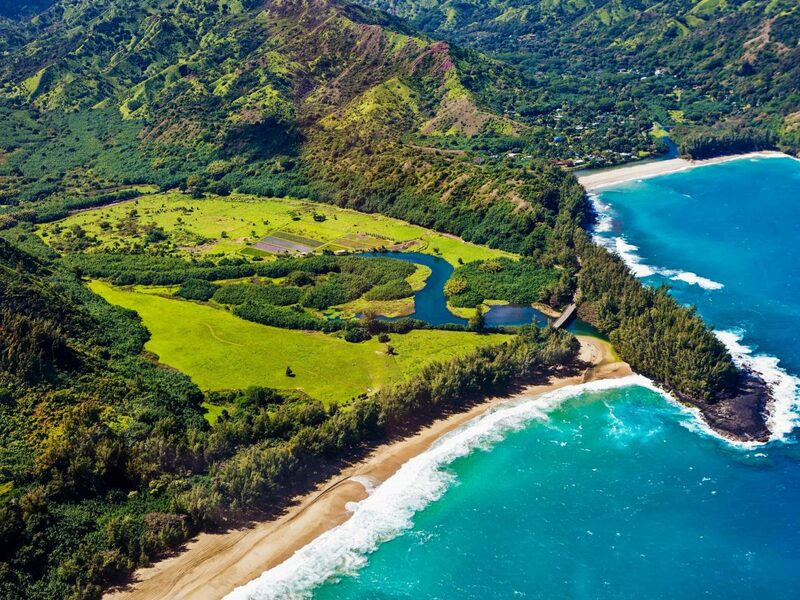 Kauai’s Na Pali Coast State Park stretches more than 17 miles along the island’s northwestern shore. 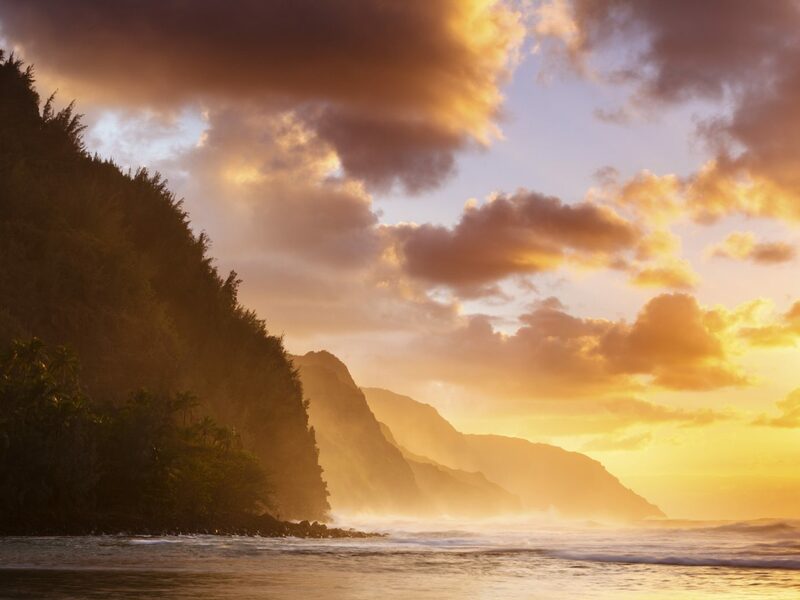 Seeing as the name directly translates to high cliffs, it should be a given that Na Pali’s claim to fame is its soaring, emerald green mountain range that hovers 4,000 feet over the Pacific. 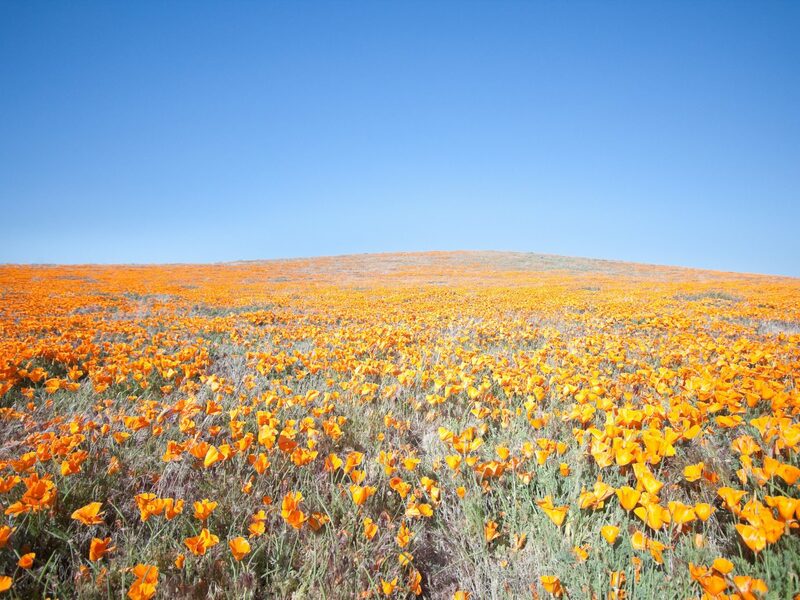 Antelope Valley’s 1,780-acre poppy reserve explodes in its signature fiery orange hue every spring. 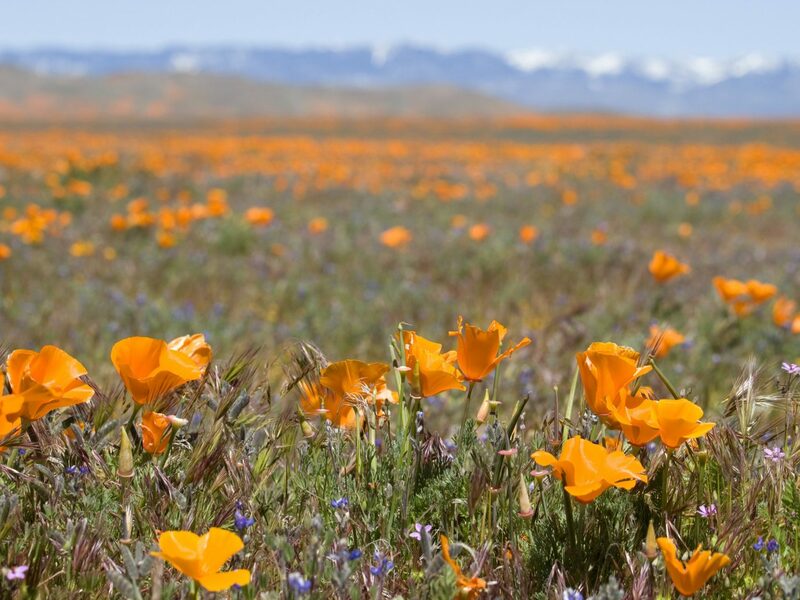 Take a drive along the eight-mile Mojave Desert Grassland track with a camera in hand, but don’t forget to put it down every once in a while to appreciate the sheer number of blooms. 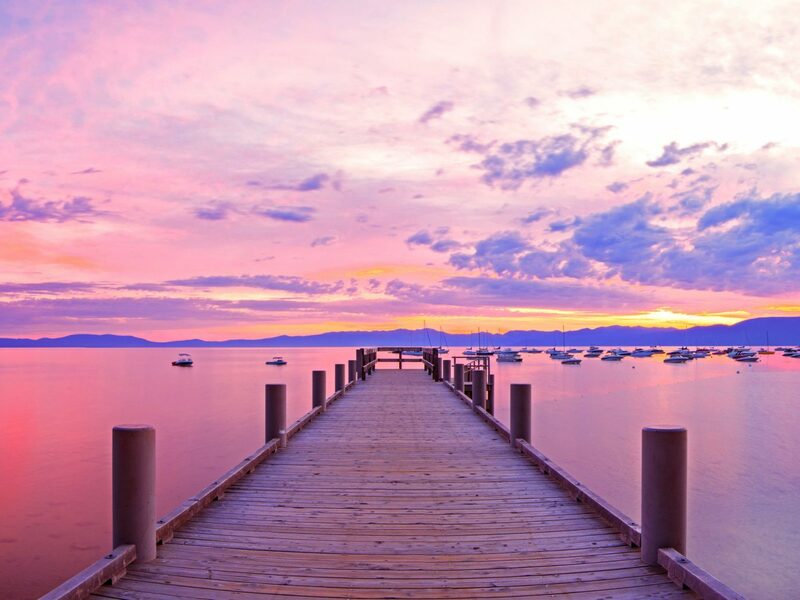 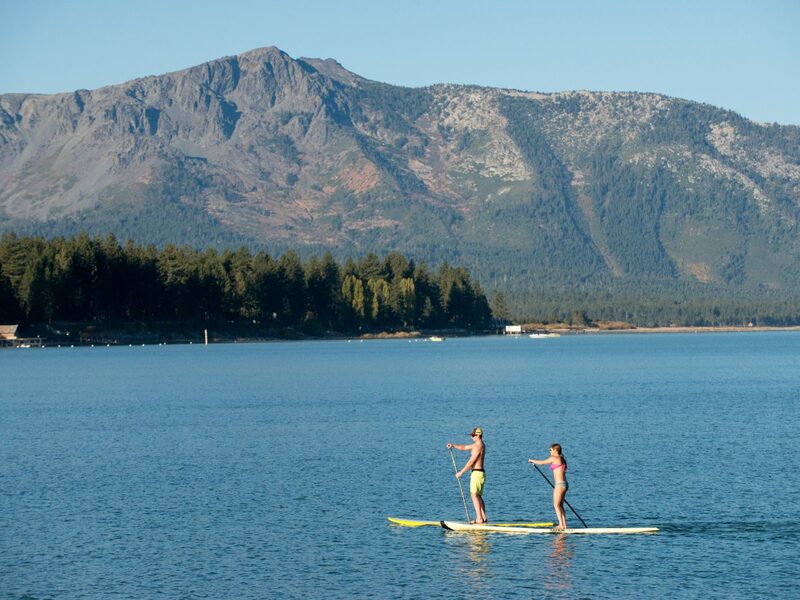 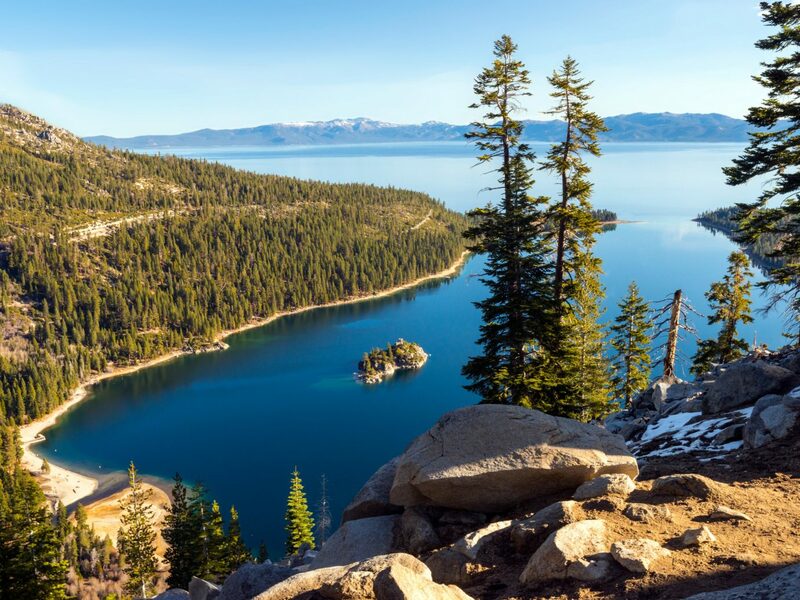 Straddling the border of California and Nevada is Lake Tahoe—the largest freshwater lake in the Sierra Nevada range. 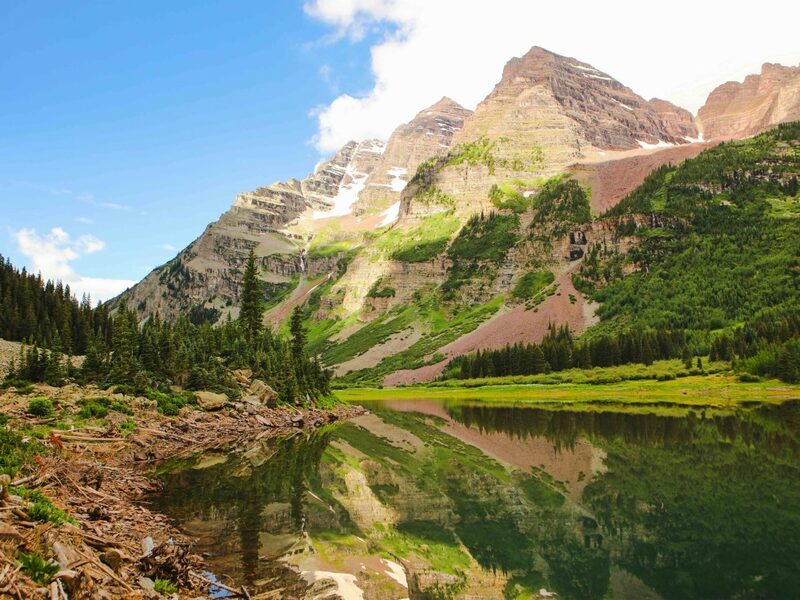 The clear alpine beauty formed more than two million years ago, with the majority of its shape having taken place during the ice ages. 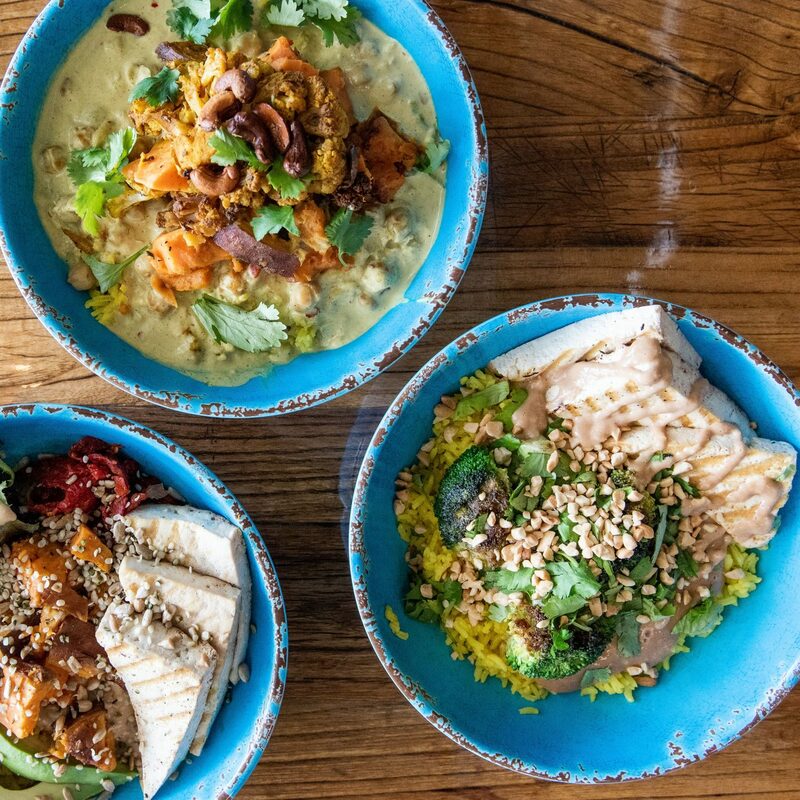 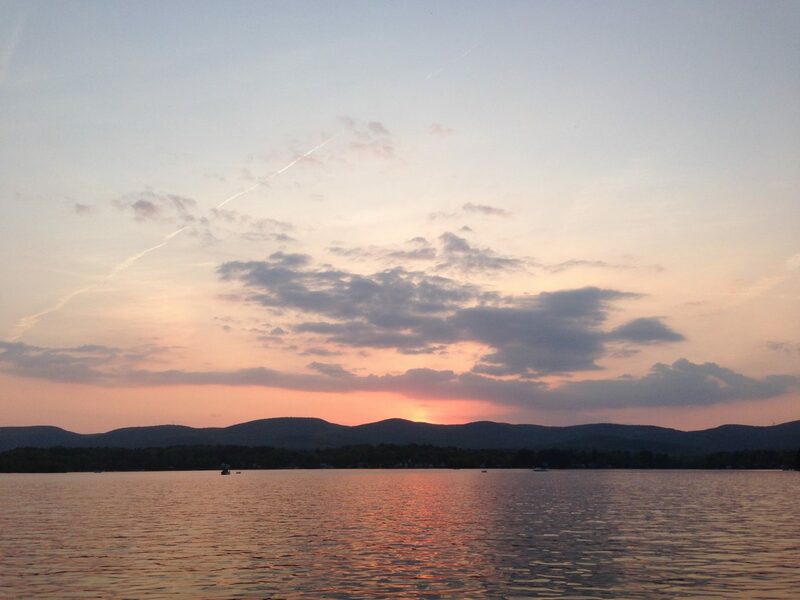 Ideal leaf-peeping, farm-to-table dining, renowned art institutions, and rural hamlets—they’re all to be found in the Berkshires, a mountainous region of western Massachusetts and northwestern Connecticut. 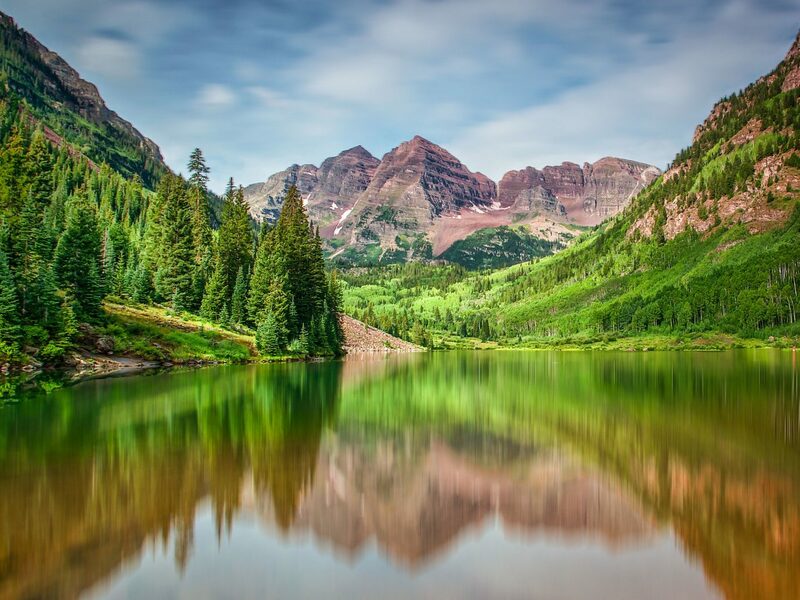 One look at the Maroon Bells—two Rocky Mountain peaks mirrored by Maroon Lake and blanketed in fields of wildflowers—and you’ll understand why they’re one of the state’s most photographed features. 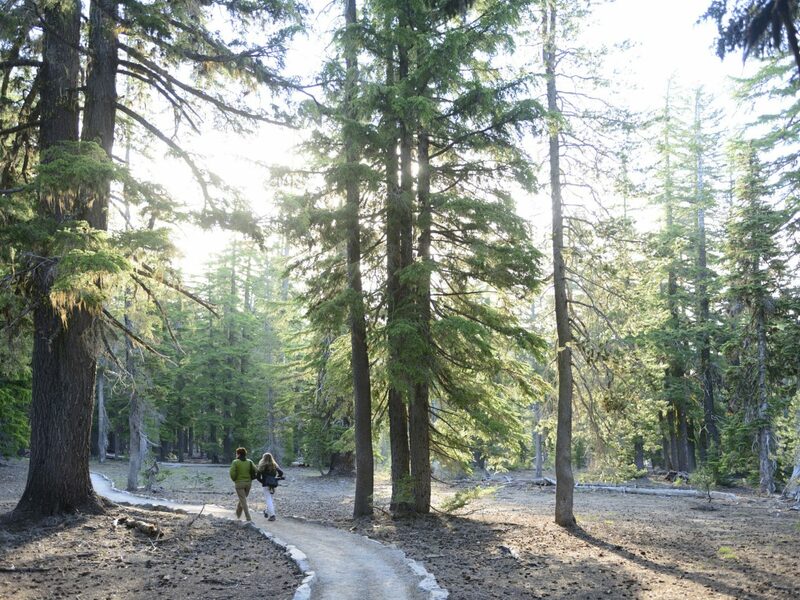 FYI: despite that fact, photos don’t nearly do them justice. 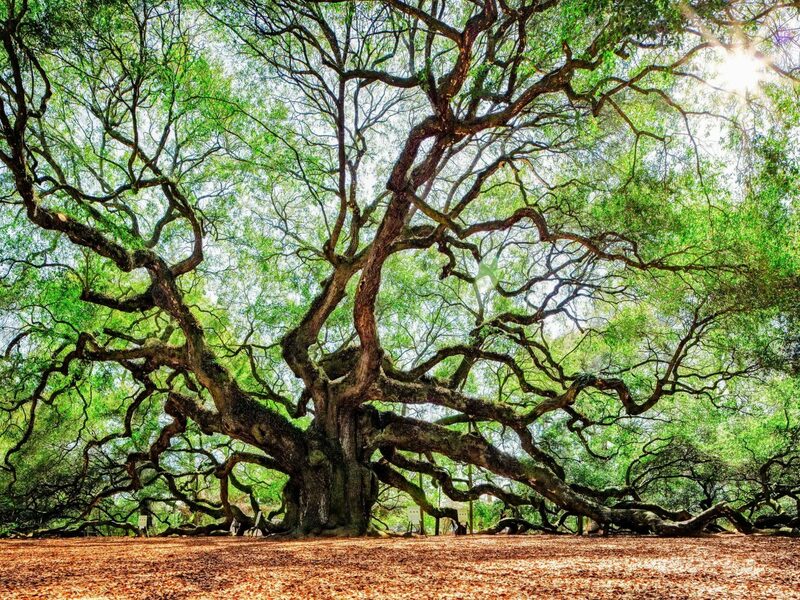 This low-country live oak is estimated to be 400-500 years old. 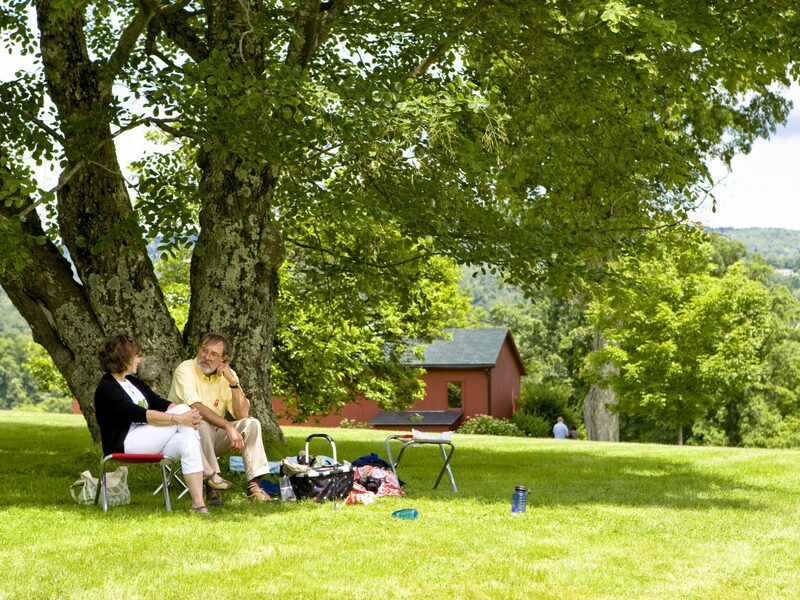 Though it’s located on Johns Island, the mammoth tree—with a canopy that extends more than 2,000-square-yards—is a staple on any Charleston-area itinerary. 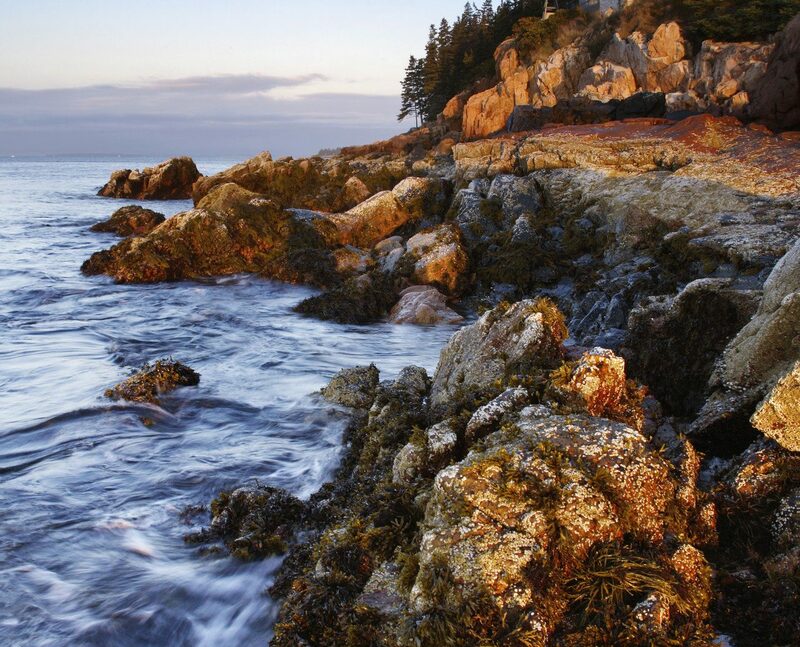 Most iconic national parks can be found out west, but New England would never let anyone forget that they harbor one as well: Acadia. 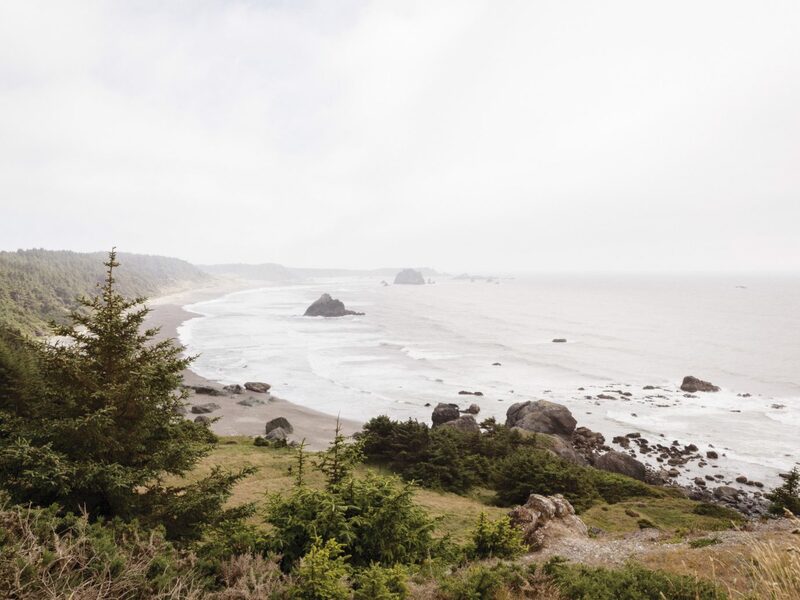 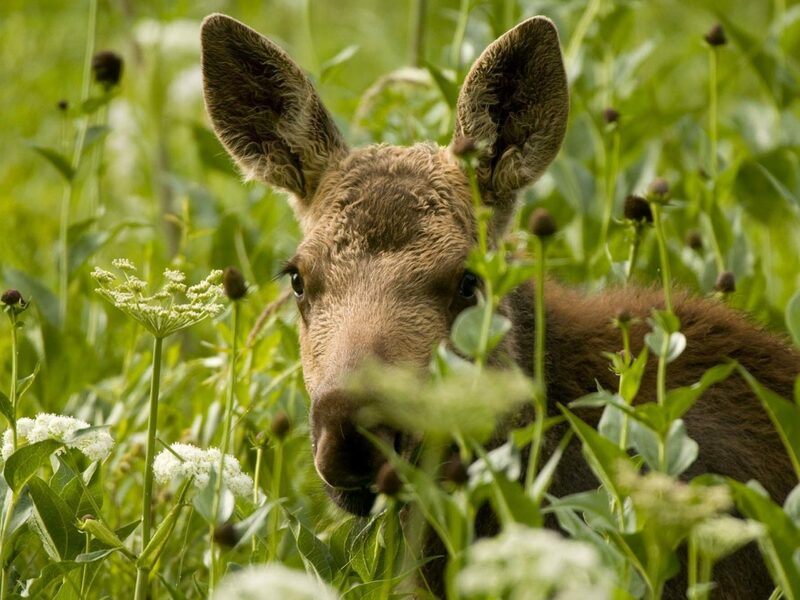 Hugging the Atlantic coastline, the park is all rocky shores, granite mountain peaks, and wildlife—from white-tailed deer and bobcats, to moose and peregrine falcons. 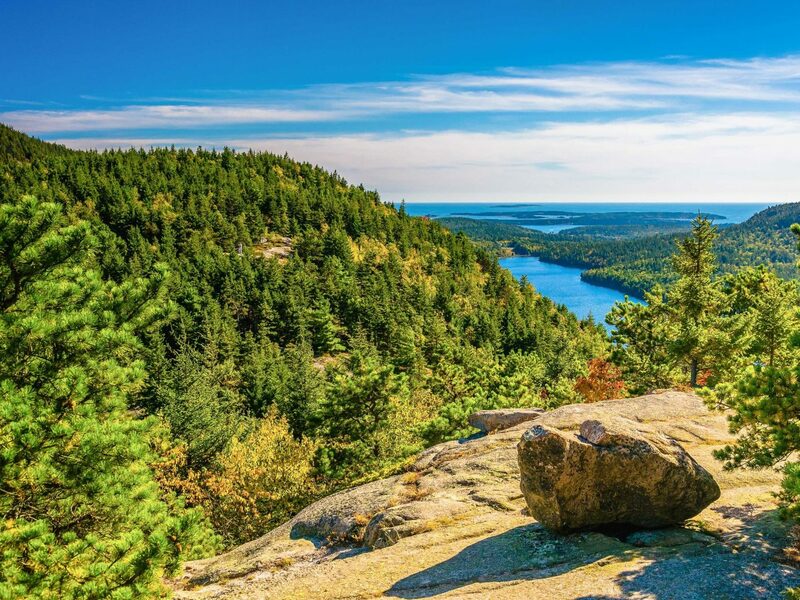 Hike to Cadillac Mountain’s summit, and you’ll look out over Maine’s rugged terrain from the highest point on the North Atlantic seaboard. 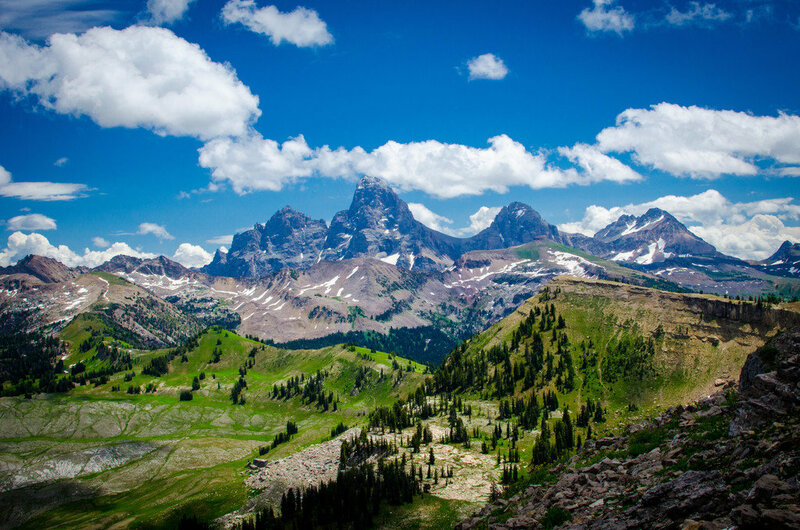 More than 200 miles of backcountry hiking trails draw visitors to northwestern Wyoming each year. 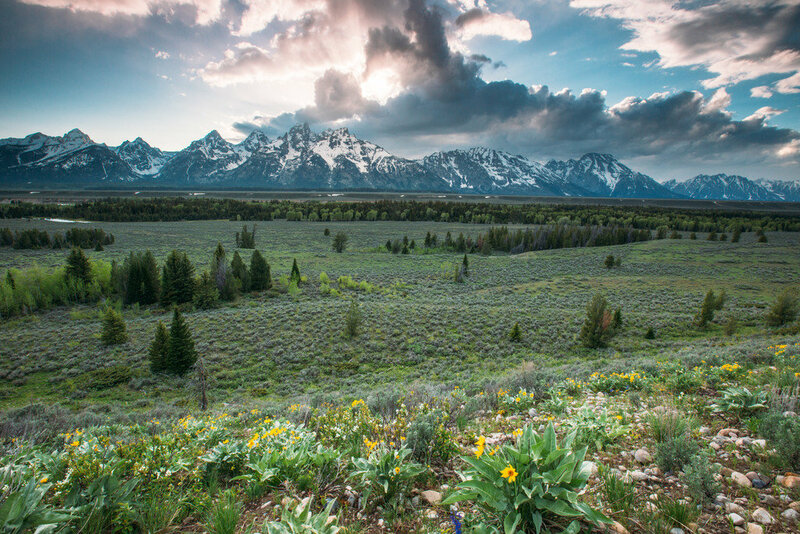 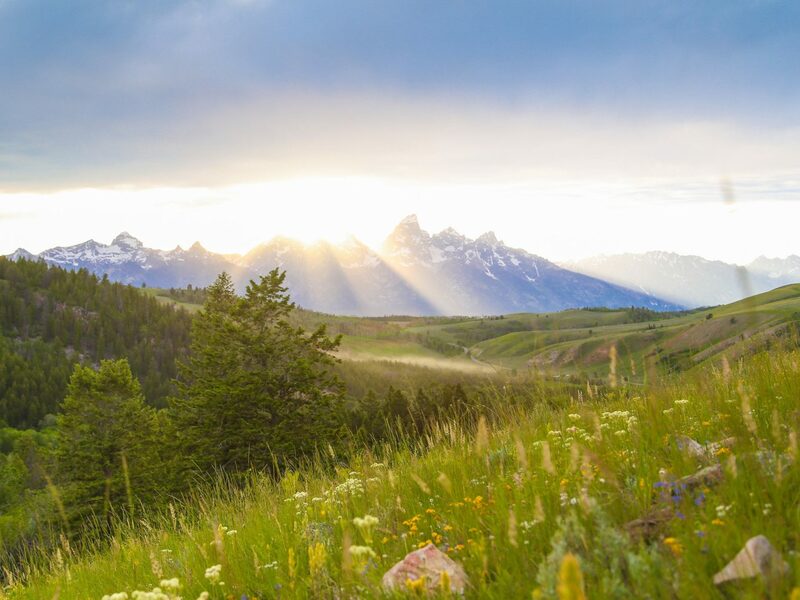 Just 10 miles south of Yellowstone, Grand Teton holds its own with 310,000 acres that encompass the entirety of the 6- to 9-million-year-old Teton range, parts of Jackson Hole valley, prehistoric flora and fauna, and glacier-formed lakes and rivers. 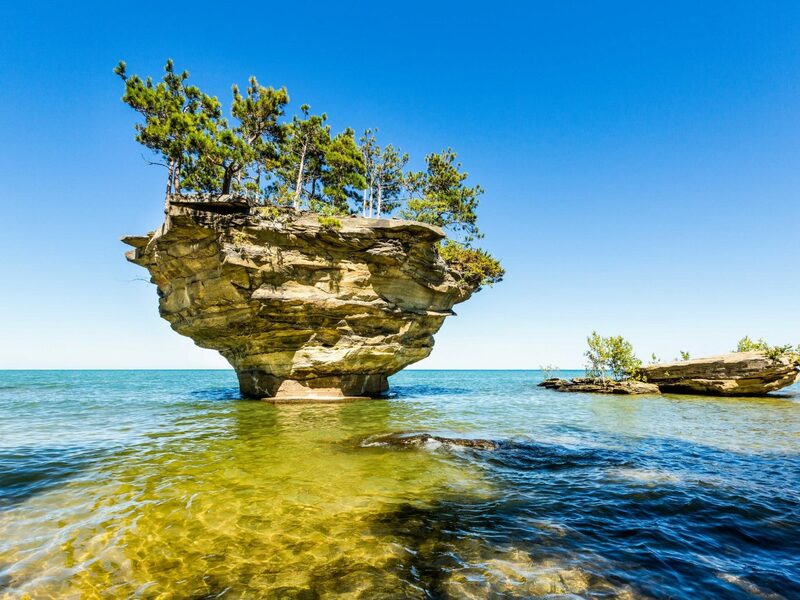 Few people know about Turnip Rock—a tiny island just off Port Austin, Michigan’s shore in Lake Huron—but that’s part of what makes it so cool. 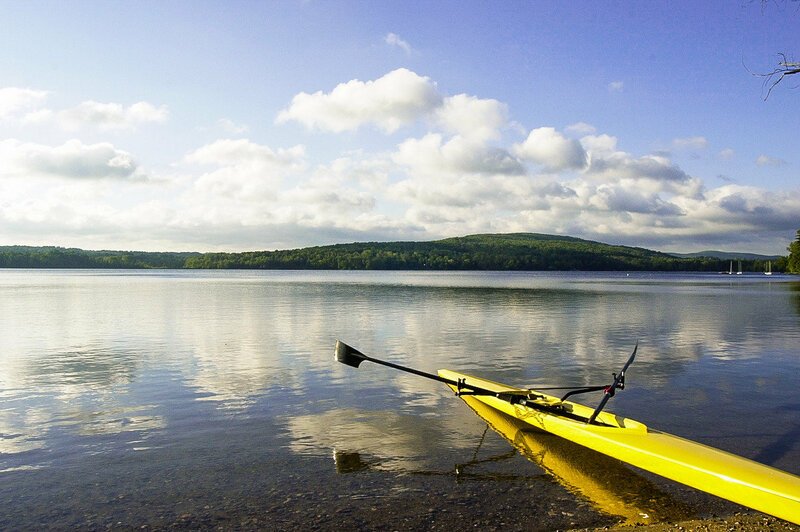 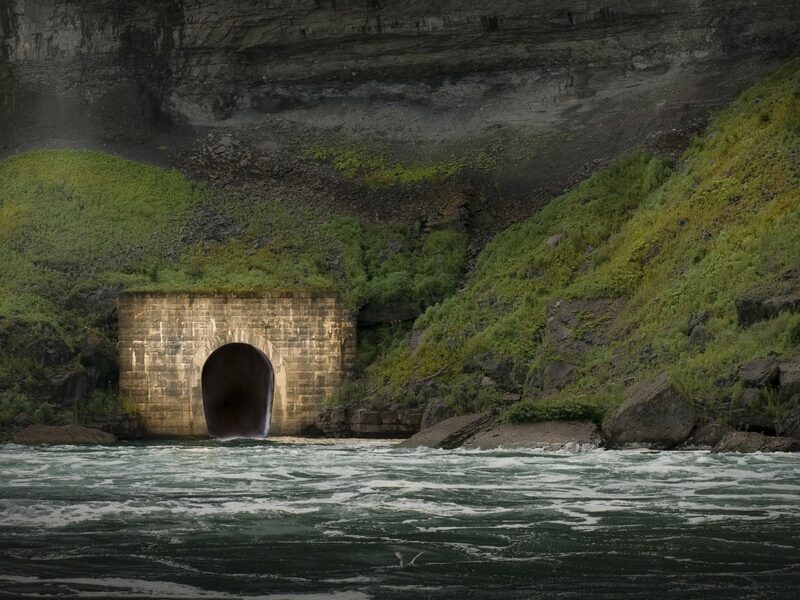 Get a closer look at the geological oddity by kayaking its shallow surrounding waters. 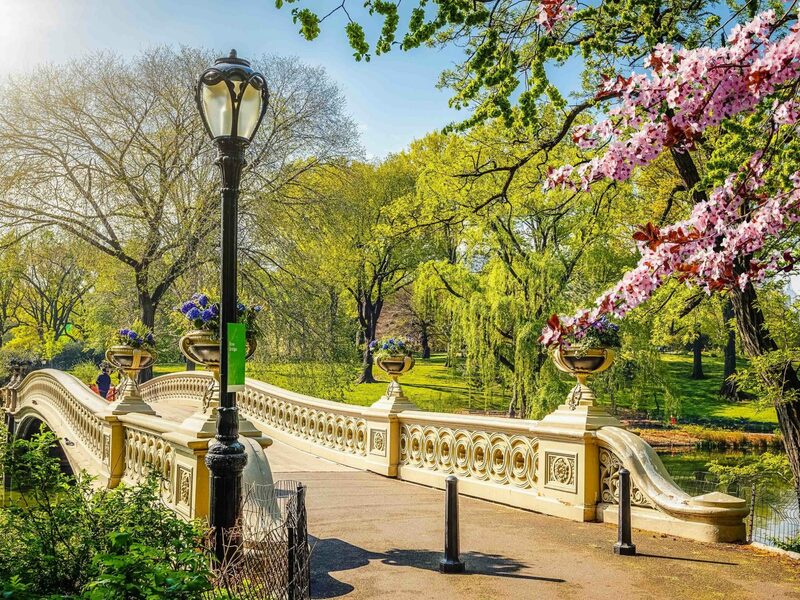 NYC may be strapped when it comes to wide open spaces, but Central Park always comes in clutch when we need some time outside. 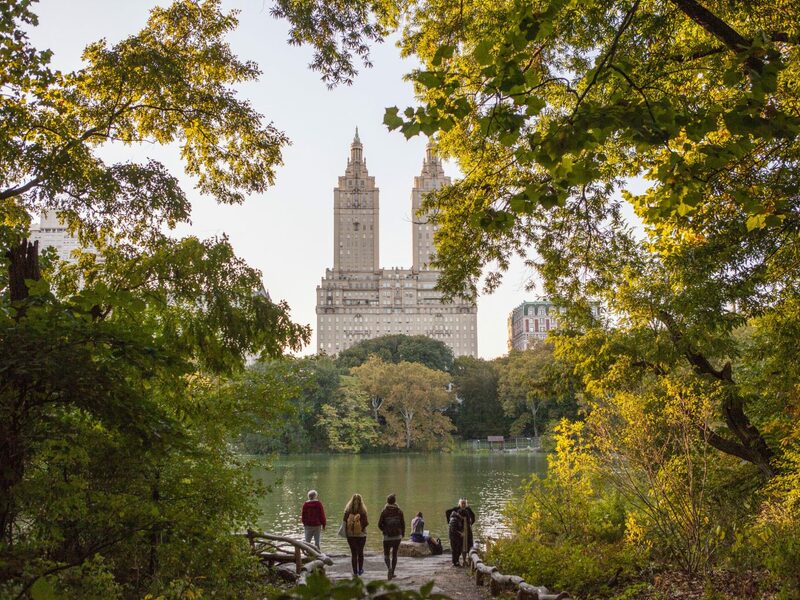 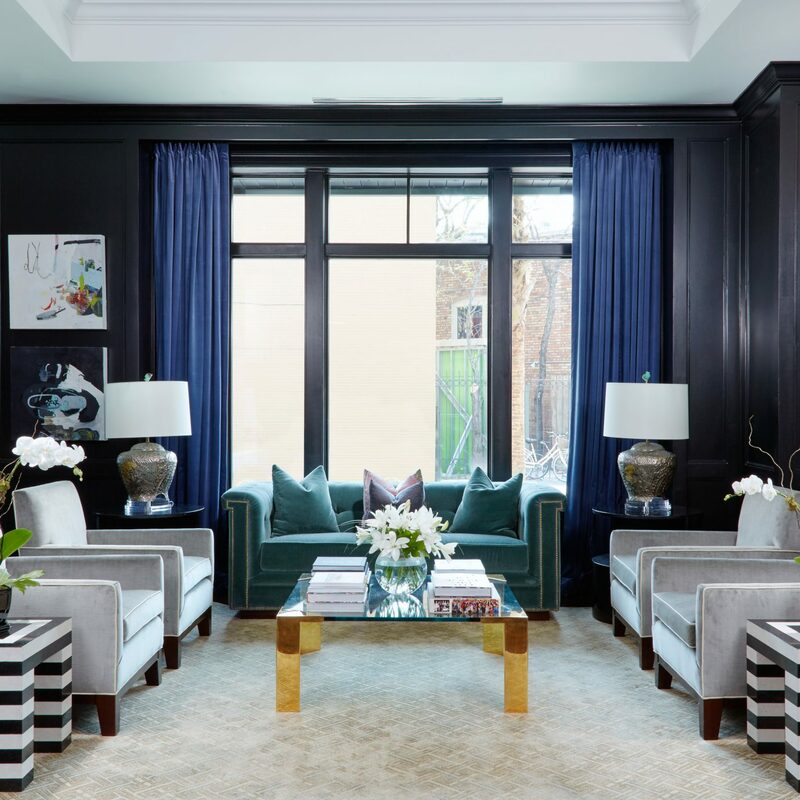 Eight-hundred-forty-three-acres of green lawns, cultivated gardens, and man-made lochs mean there’s always something new to see. 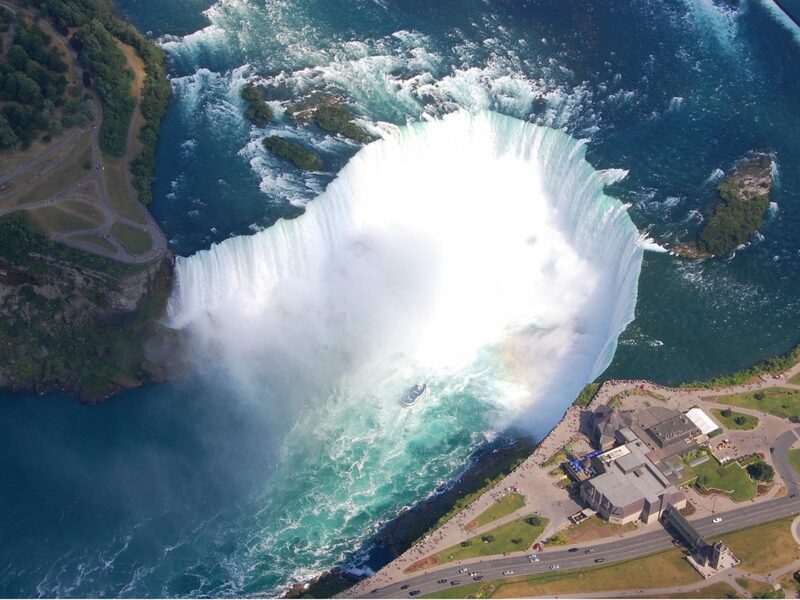 With 30 million visitors each year, we think everyone’s in agreement with us on this pick. 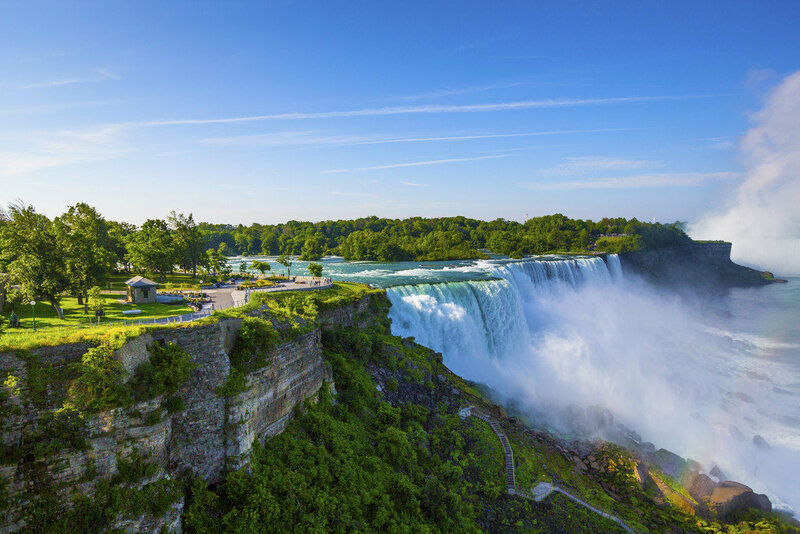 Make it to the border between New York and Canada and you won’t be disappointed. 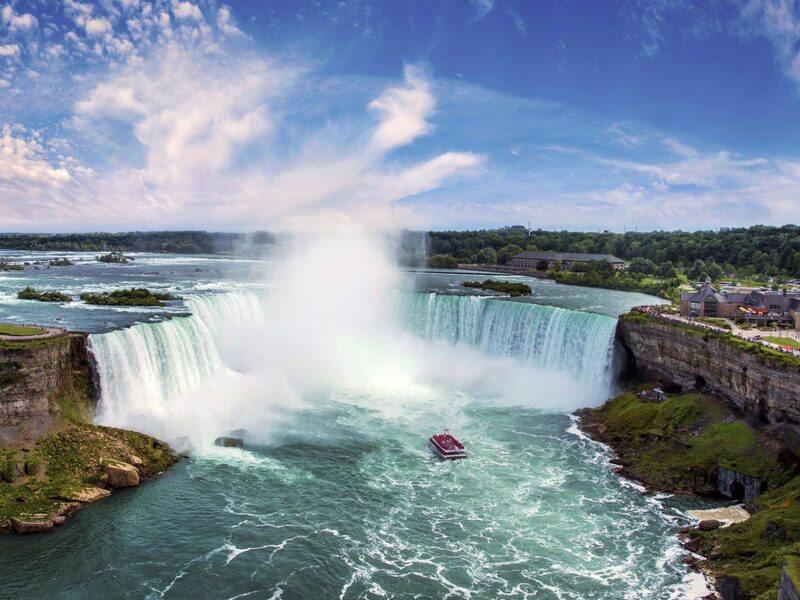 Believe it or not, a mind-boggling six million cubic feet of water plunges over the falls every minute. 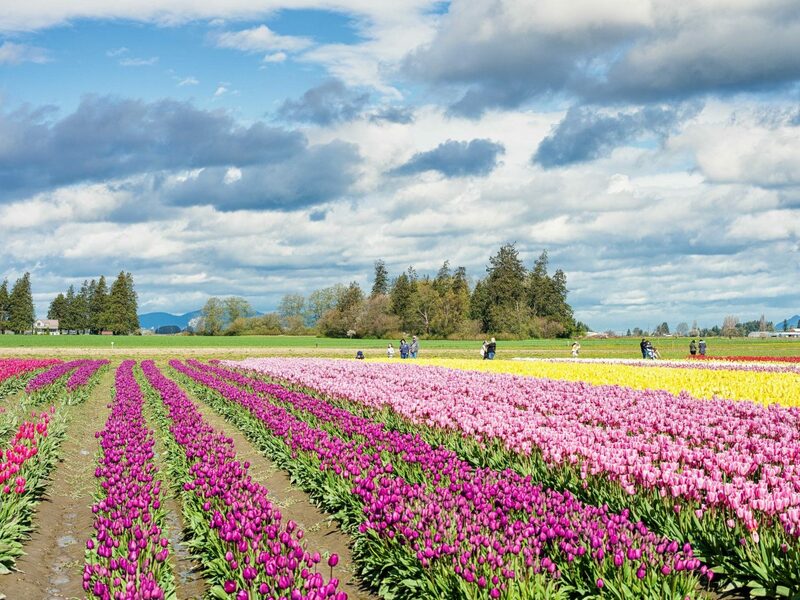 The Pacific Northwest’s Skagit Valley lights up every spring with hundreds of acres of tulip fields sprinkled between La Conner and Mount Vernon. 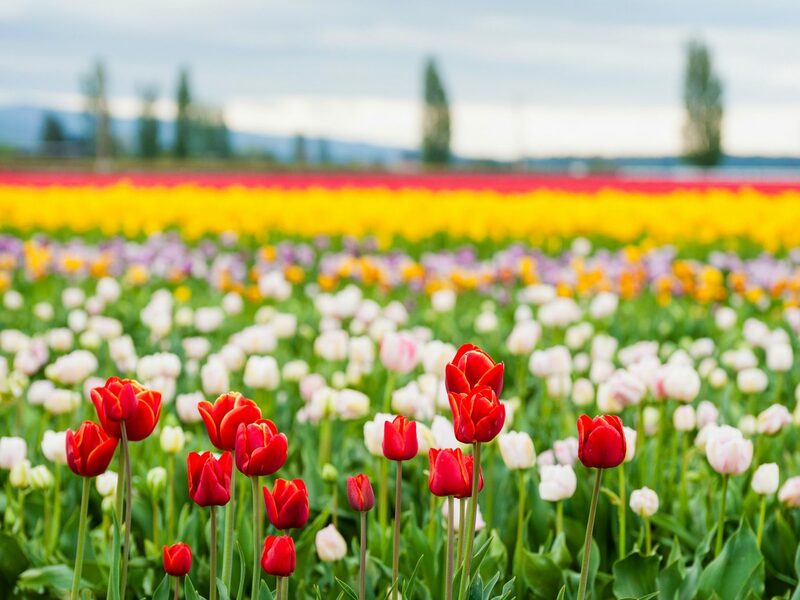 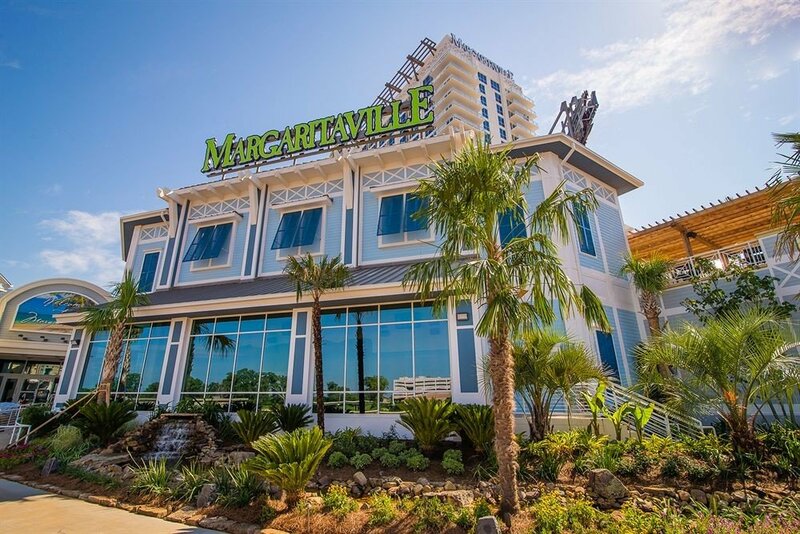 Drop by during their month-long festival each April to check out the show gardens, art exhibits, wine tastings, barbecues, and cultural weekends that accompany the annual bloom.